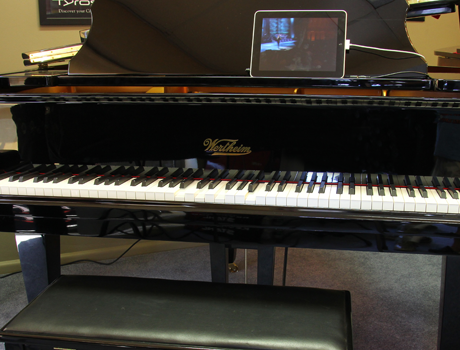 IQ with wireless ipad or ipod – lets you scroll through songs that your piano plays from an ipad or ipod from anywhere in your house! Record – As an added option to an IQ system this enables you to record yourself playing the piano then have the piano play it back to you. Quiet time Magic Star – With Magic Star at the flick of a lever the piano is muted and you can listen to what you’re playing through headphones and even use your piano as a MIDI controller. Check out www.pianodisc.com for more information. And talk to Sam at Classic Piano Restorations for a quote on installation.